With a combination of the UK’s most famous theme park, two themed hotels, a waterpark, spa and state-of-the-art conference centre, recruitment at the Alton Towers Resort poses quite a challenge for the HR team, as they have to fill 1,200 seasonal roles every year from scratch, and maintain a base of another 1,000 permanent. Approaching both sectors with the same ruthless focus on training and development ensures that the resort has a fully engaged and skilled workforce at every level. Photo: flickr / rollercoasterphilosophy. Used under Creative Commons. Kerry Alcock, Recruitment Manager at Alton Towers Resort comments: “The people who work for us determine our success. From the car parking attendant who greets you at the start of your day to the ride operators, food servers and entertainers you meet during your visit. Each member of staff plays a part in creating a fantastic customer experience. In fact, most of our KPIs are built around people related actions. “Training is therefore incredibly important to us. Every single person who works with us starts with a full two day induction, which gives them a full introduction to Alton Towers Resort. They get specific training on customer service, health and safety as well as a full familiarisation of all the rides and the park itself. But they are also taught about our brand and our parent company, Merlin Entertainments. “It doesn’t matter if you are a new financial director or a ride operator, each person starts on the same day and does the same induction. “In fact we have people who love working here so much that they find other work when the park is closed over winter and then apply to come back year on year, which means we have about a 50% return rate. That is incredibly helpful for us, considering that we have only a few months in which to recruit over a thousand people each year. 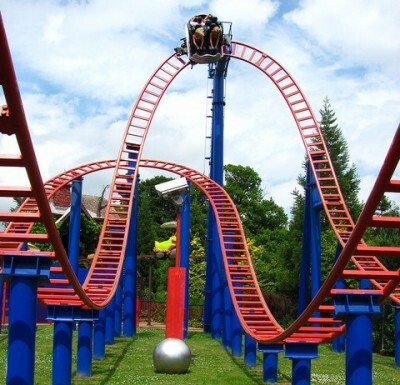 We are highlighting Alton Towers' training as part of our #summerheroes Twitter campaign looking at training and development for flexible workers. Let us know what you think @ukces. See Commissioner David Fairhurst's blog post about McDonald’s summer heroes, and how Agrico helps their summer workers be heroes.